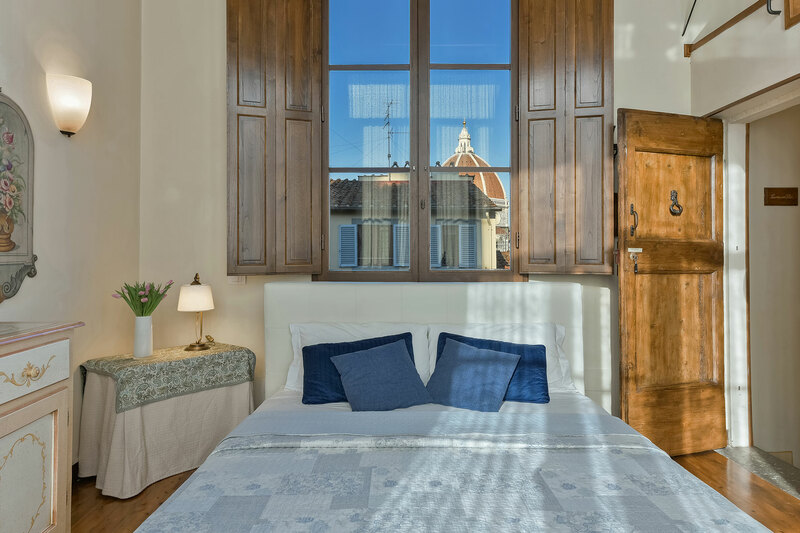 Situated on the 4th floor with lift, the studio flat is composed by a living area with a small kitchen, lunch table, a big bathroom with shower and a sofa bed (140cm). 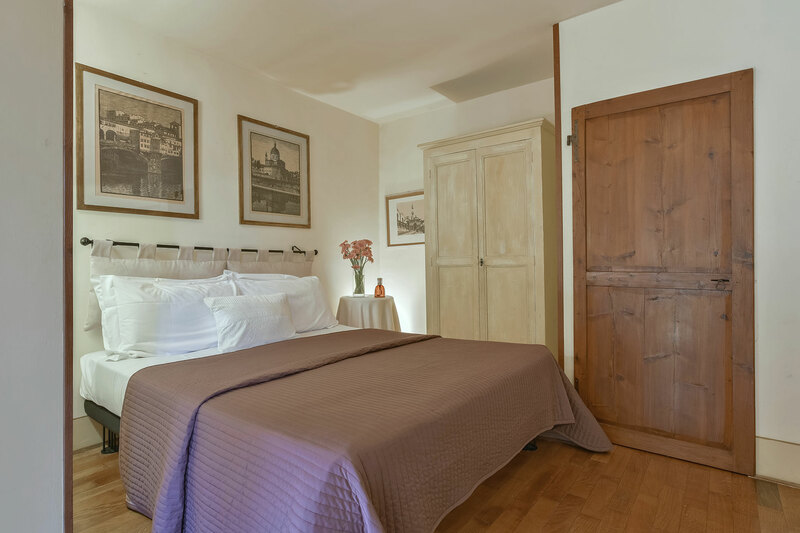 In the alcove instead, you can find a king size bed with a closet. 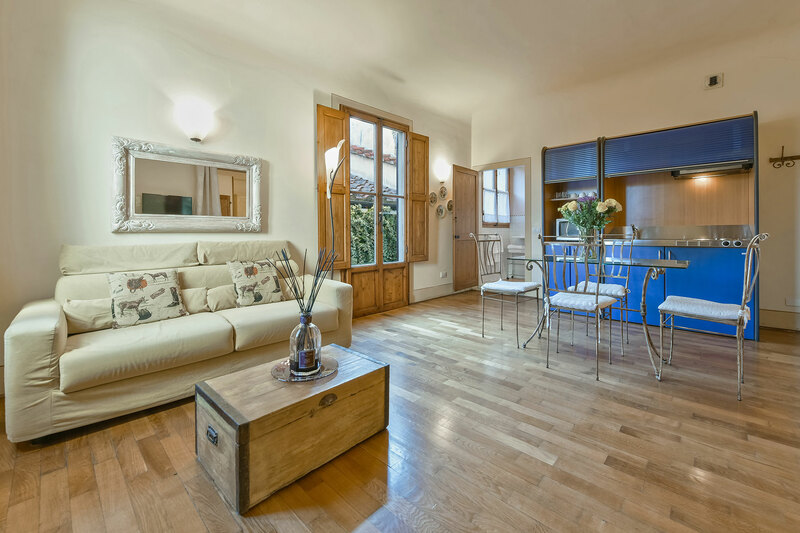 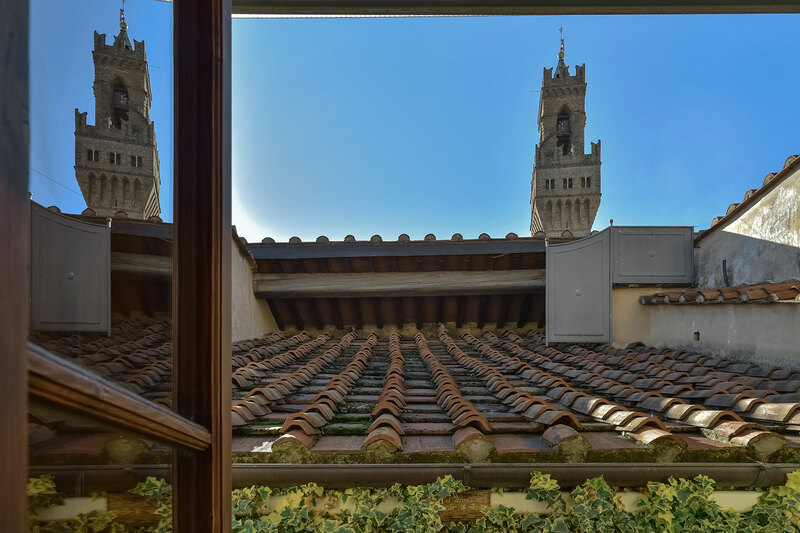 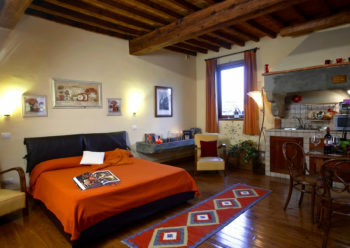 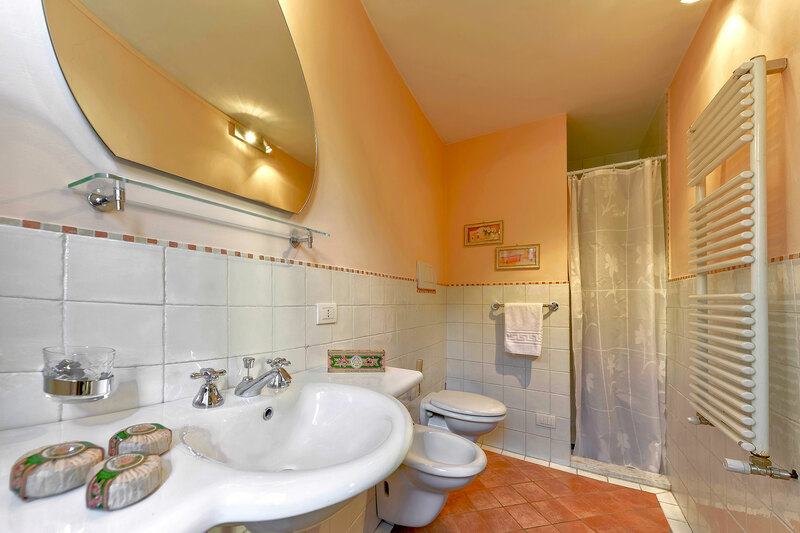 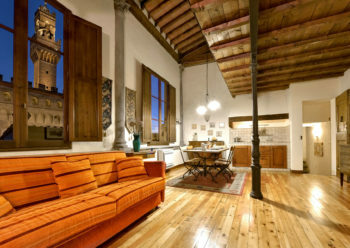 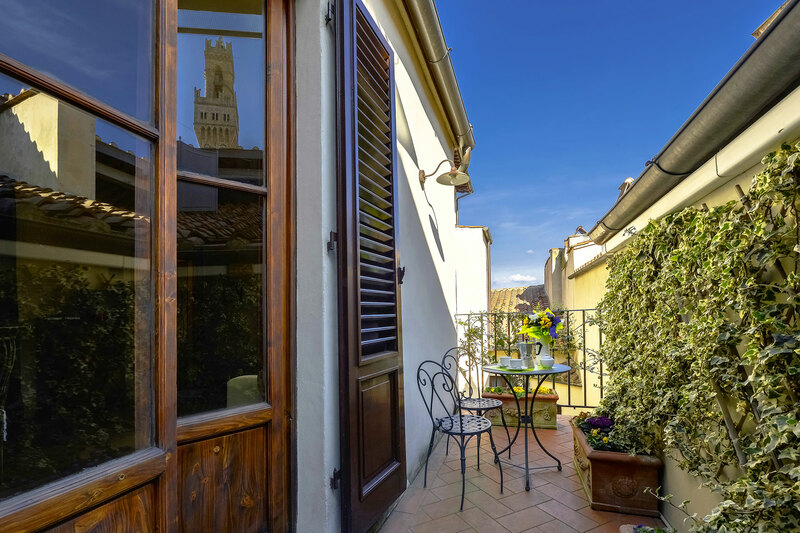 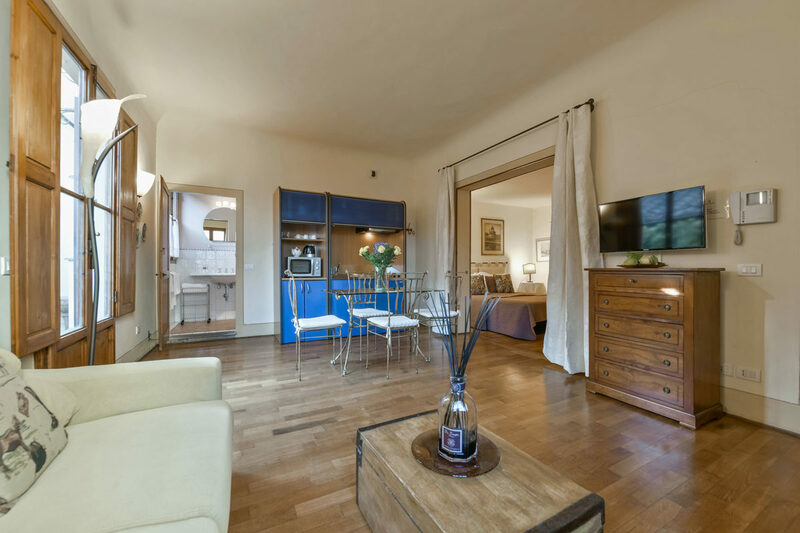 Easy and cozy, furbished with a typical florentine style, the apartment also offers a romantic terrace surrounded by the silence around the florentine roofs! 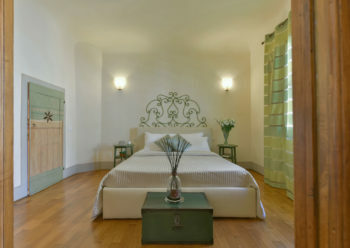 Have a nice stay in Alcova!